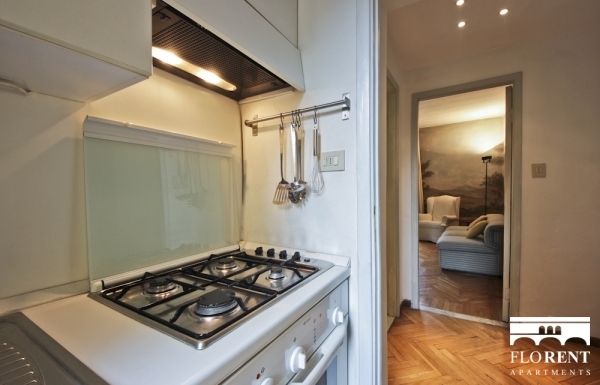 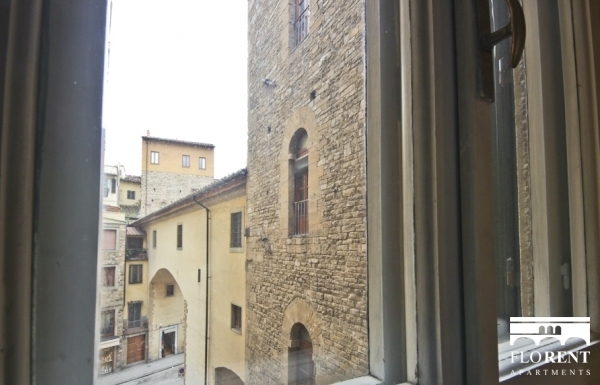 This spectacular apartment is next to Ponte Vecchio in a secure porter managed building on the 3rd floor by elevator. 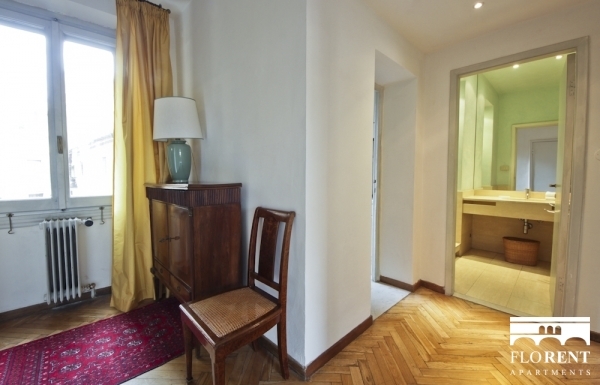 The apartment is cozy and yet the rooms are spacious. 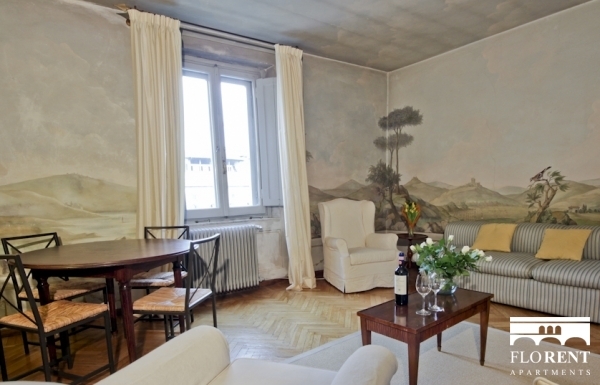 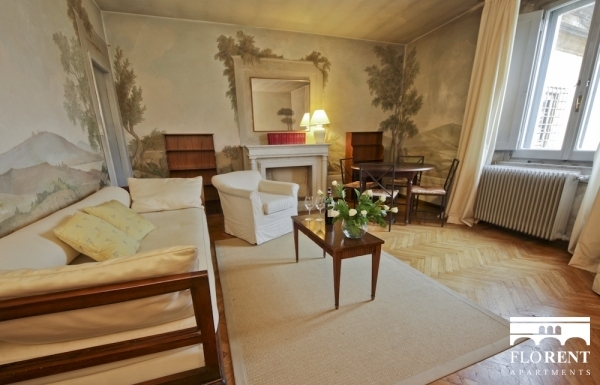 It has a fabulously designed living room tastefully painted which are the same walls as the Ponte Vecchio bridge! 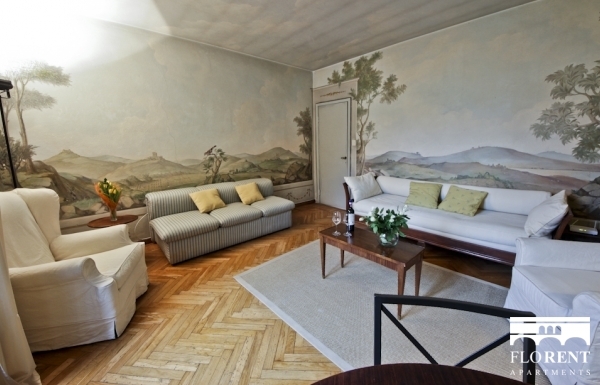 making it an especially unique apartment in Florence! 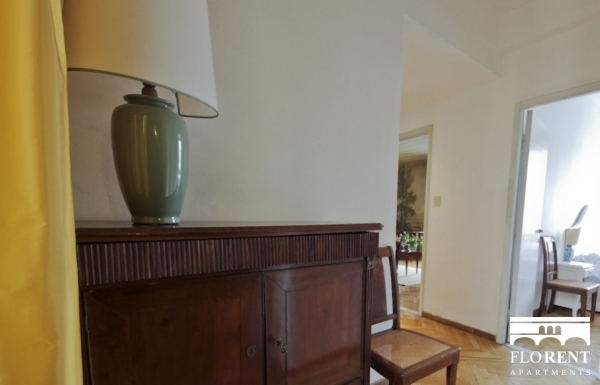 the living room also has a queen size sofa bed, old picturesque fire place and dining table. 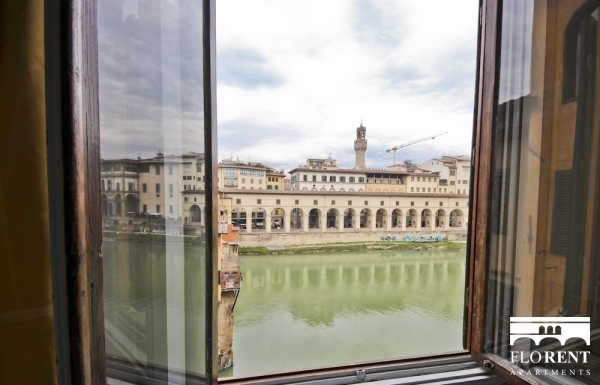 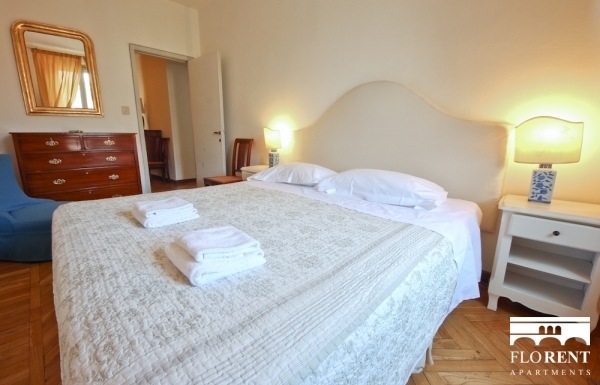 The charming bedroom is equipped with a comfortable king size bed, also with a view onto the river Arno and Ponte Vecchio bridge. 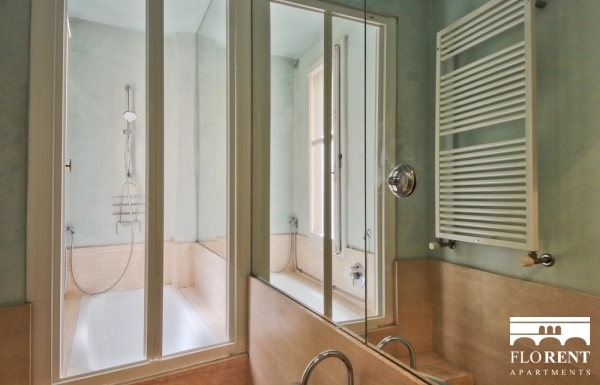 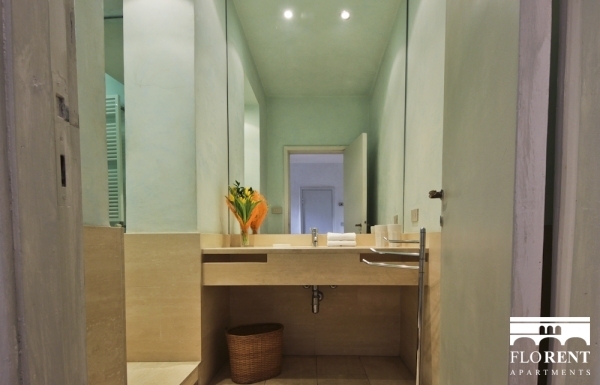 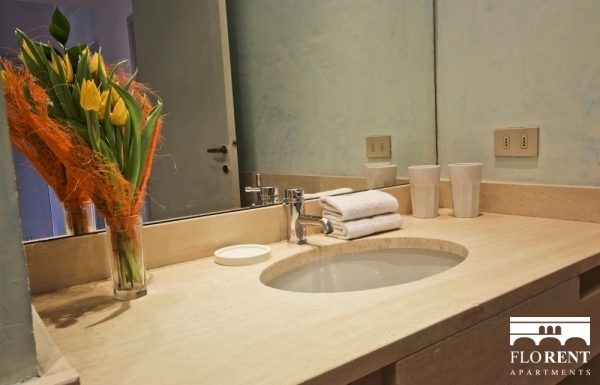 The kitchen and bathroom are cozy and well decorated and have all you need for great comfort. 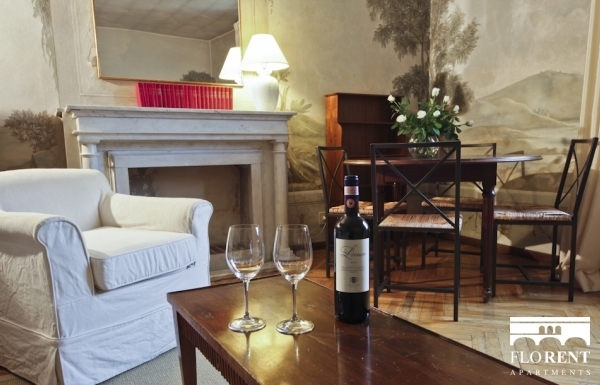 Located in the heart of the city of Florence and next to the Ponte Vecchio bridge, everything is within seconds of walking distance. 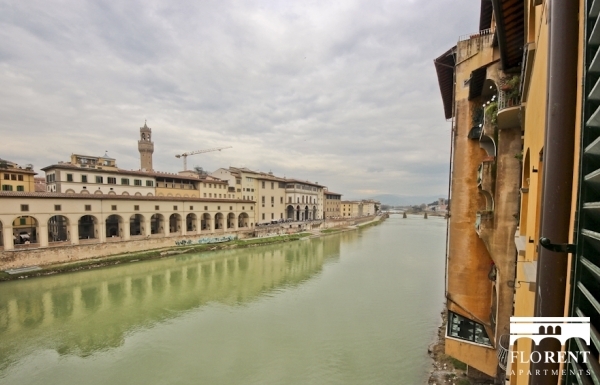 Bars, restaurants, shops, a super market and the main sights are on your door step. 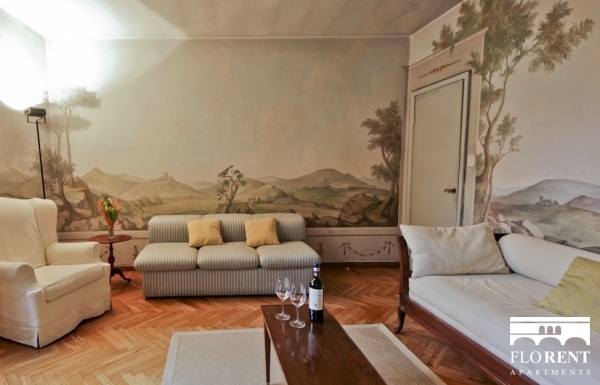 It is one of the most incredibly located properties in Florence, and will make both your vacation relaxing and exploring the city effortless. 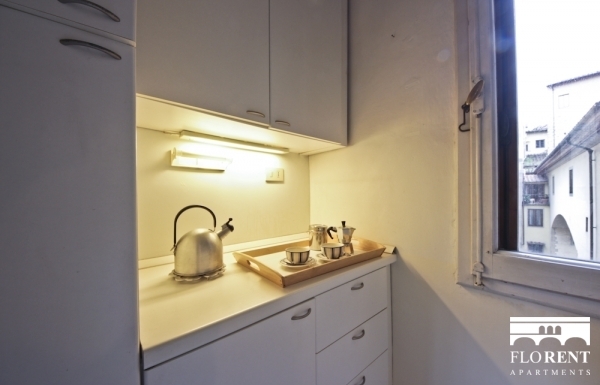 What is not viewable from your windows is a few minutes walk from your apartment.